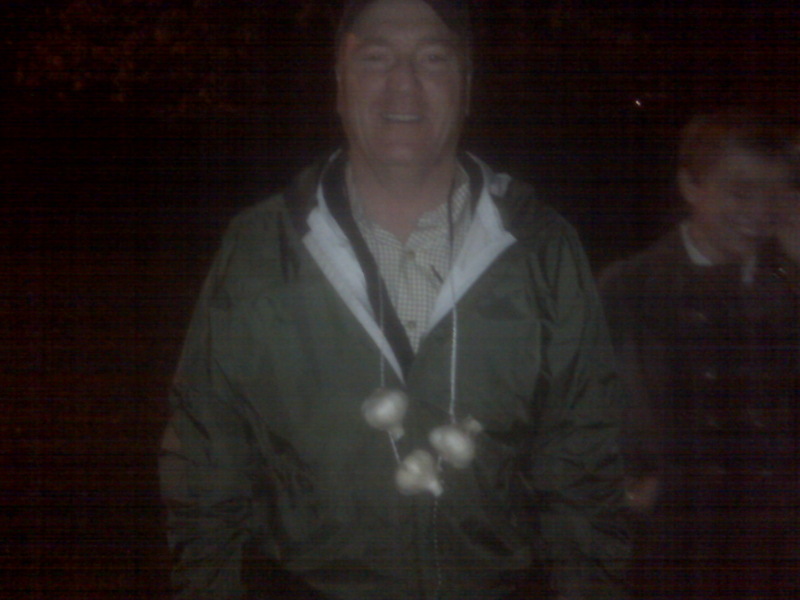 Steve was determined to protect himself with a necklace made out of 3 whole bulbs of garlic on the Bath Haunted History Tour last night! I grew up with this story and it’s still my favorite. If you can find anywhere to look at the illustrations, they’re wonderful, too! I’ve just included a couple of snippets, but at the end is a link to a blog that has the whole story. Enjoy! “Tippity Witchit sulked. The idea of telling him he was only a little kitten! Giving himself a shake, he got up from the straw. He was as big as the next cat and able to meet all adventures that might befall the cat tribe – anywhere in the world! Sneaking off to the door, he slipped across the barnyard and out on the long stretch of highway that ran to the wide, wide world. Oh, what a moon was shining! It turned all the fields to silver. And little mists were rising shimmering over the meadows. He was out in a white world of moonlight with little black shadows dancing here and there on the edges. He was out like a great big cat in the mystery of the night!